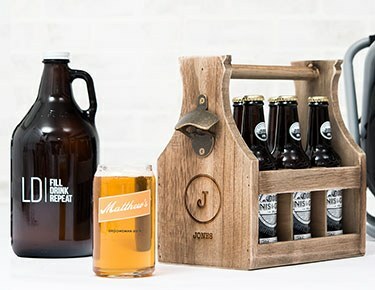 Score big with your groom, groomsmen, dads and grandpas with The Knot Shop's hand-curated selection of personalized gifts for men. 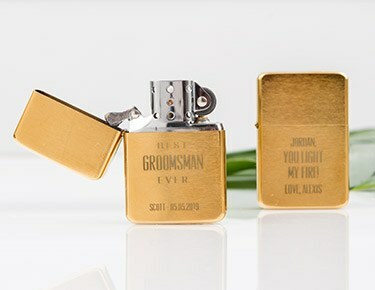 Spark up a celebratory cigar with one of our personalized lighters or outfit your buddies with custom cufflinks that tie it all together. 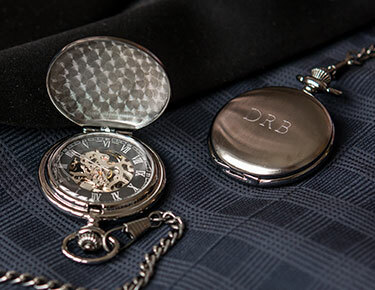 Shop a standout selection of groomsmen gifts and men's wedding gifts that match your crew's unique personality and show your gratitude in a way that's tailored to you. 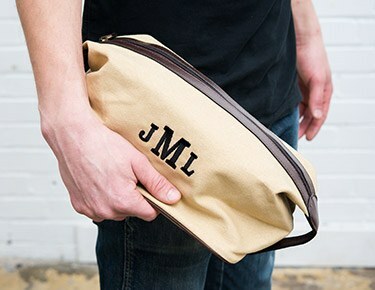 We have personalized groomsmen gifts for all personalities, including outdoorsy types, adventurers, sports-lovers, beer-drinkers and more.We've got all the most thoughtful father of the groom gifts and father of the bride gifts, including personalized duffle bags and water bottles for the athletic dad as well as custom glassware, bar accessories and beer growlers for the home-brewer. Each father of the groom gift in our selection can be personalized with his name or initials for a special finishing touch. 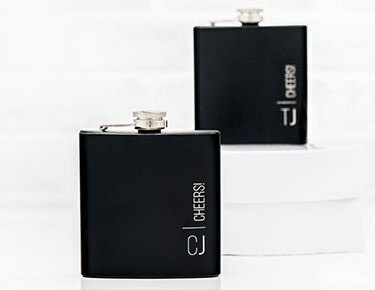 Our men's wedding gifts are quite versatile: design something for the groom from the bride or pick out something extra-special for your officiant and ushers.It doesn't matter if you're looking for extra-special groomsmen gift ideas - monogrammed groomsmen gifts he'll actually use, for example - or want to find a truly memorably father-of-the-bride gift that'll make him feel totally honored, you'll find something that strikes your fancy here. 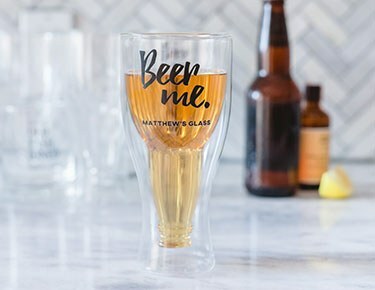 Personalized flasks and beer growlers are a classic choice for guys who love to cheers, while personalized men's robes and clothes hangers are great for the groomsman who's big on grooming. At The Knot, groomsmen gifts are our specialty, so make us your go-to resource for all the best and most thoughtful options.